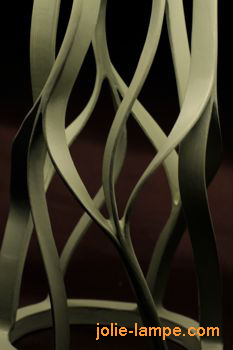 Order my book to understand how to make curved cardboard lamps. I created this lamp with cardboard template. I use mathematics to draw each cardboard template because the shapes are complex. You can make exactly the same lamp as you see on this picture. 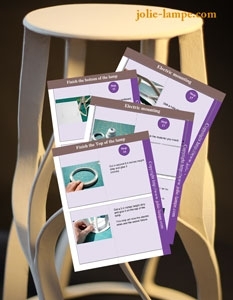 It's realy easy to make these curved shapes thanks to my cardboard templates ! When I created this lamp, I took many pictures. I have written a tutorial witch explains all the steps to make this lamp. The tutorial I have written has more than 40 pictures. The tutorial includes the cardboard template that you'll need. 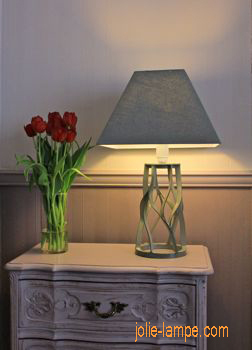 It will help you to understand all the steps to create this lamp. CLICK ON THE PICTURE TO DOWNLOAD.